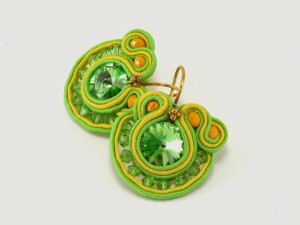 Check out these wonderful examples of the beautiful work some of our members have done! 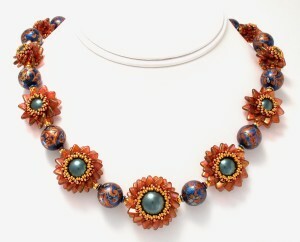 If you would like to submit photos of some of your pieces for our website, please email us at sdbeadsociety@gmail.com. 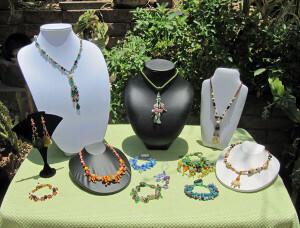 We’d love to showcase your creations! 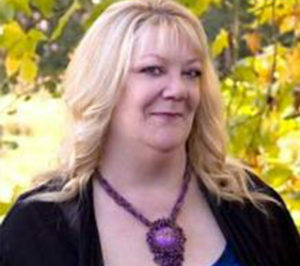 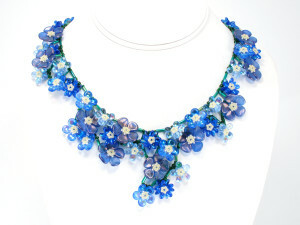 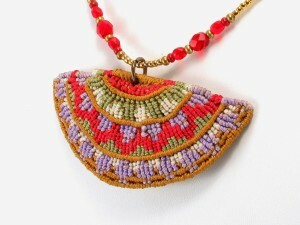 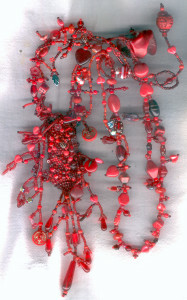 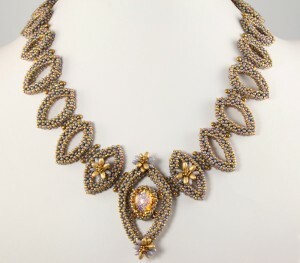 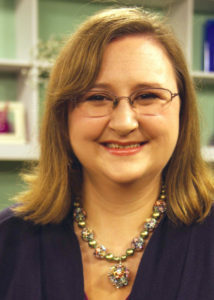 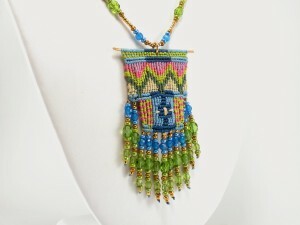 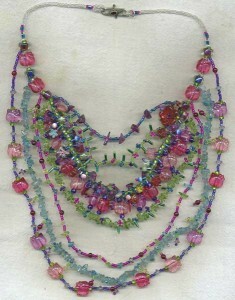 This is a bead-embroidered necklace that Linda designed for the 2014 Battle of the Beads. 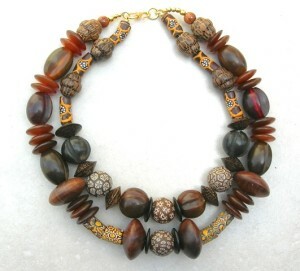 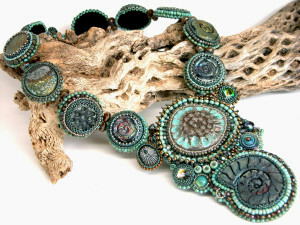 This stunning piece is called Ancient Reef. 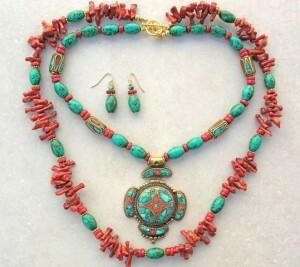 This first piece, Protective Amulet, was from a Red Challenge that the San Diego, Orange County, and Los Angeles Bead Societies did a few years ago. 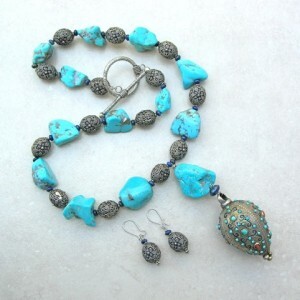 And a flash drive to back up and transport those computer files that have become so much a part of our lives….. 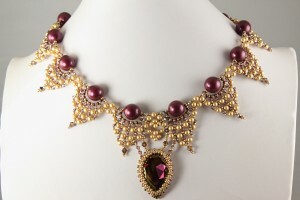 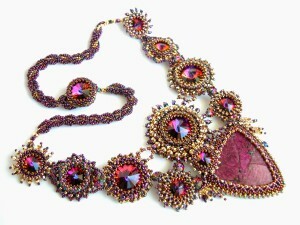 This second piece by Kaytee is from a 2008 Jewel Tone Challenge and is called Too Precious. 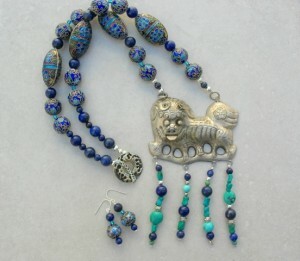 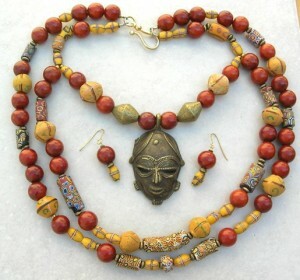 This next set of images contains African Beads from a box of beads for a women’s charity in Africa. 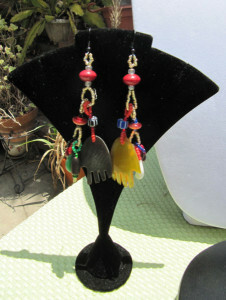 The earrings are titled Hands across the Water.